Hello, friends. 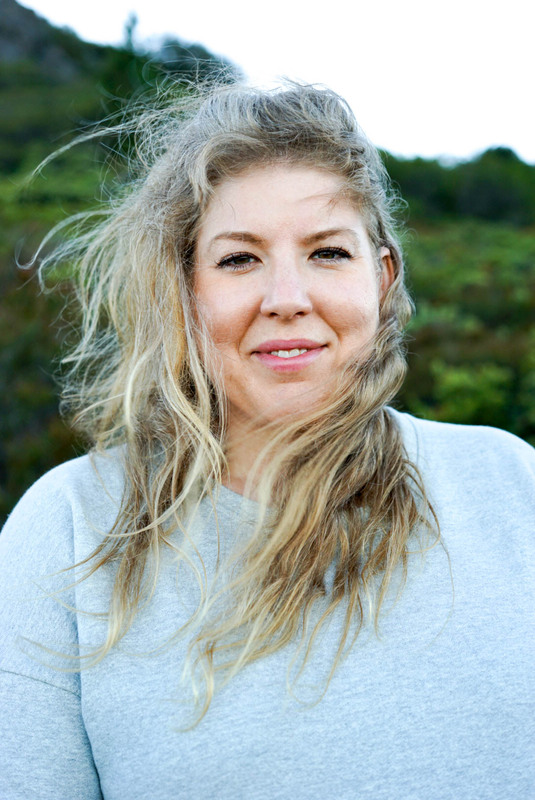 It's me and my unruly hair, coming to you live from my favorite mountaintop across the Bay. Most of you know that hiking has become an important part of my life, especially since moving to San Francisco three years ago. I didn't always enjoy moving my body, but in 2012 when I began to build a daily walking habit, I realized the mental benefits far outweighed the calorie deficit. I've been overweight most of my life and if you share my experience, you know how uncomfortable it can be to move, much less exercise, when carrying excess weight. The rewards of fitness accumulate over time, but it's difficult to build a consistent habit when its negatively reinforced by discomfort. I think this is a big part of why so many of us struggle to get and stay active. New workout clothes always give me a confidence boost, so when I got more serious about exercise, it was clear I needed to trade in my cheap thigh-rubbed yoga pants for something more technical. At almost 300 pounds, my apparel choices were limited, especially if I wanted something of quality from a brand with integrity. While I hesitated to make the investment, I knew it was important to reward my hard work. Athleta's plus size options and “Give-It-A-Workout” guarantee gave me the confidence to take the plunge into performance activewear. My first Athleta purchase was the Be Free Knicker, perfect for daily walks and hiking the paved trails of Los Angeles. The pockets were a game-changer and a feature that I now seek in all activewear. The convenience of having a place to stash your phone and keys should not be underestimated. Even when carrying a backpack on the trail, it's nice to have quick access to pull out my phone for photo or peek at the trail map. As my fitness increased and I began looking for low-impact ways to increase my calorie burn, I stumbled into hiking. I had no idea what I was getting into, but the more time I spent in nature, the better I felt. Not just physically, but mentally — and the research backs my experience. Spending time among trees has numerous healing benefits including reduced anxiety and depression, decreased cortisol production, and increased immunity. After relocating to the cooler weather of the Bay Area, I found a new favorite in the Metro Drifter. I have several pairs in both regular and high-waist styles and these quickly became my go-to pants for everything from brunch to hitting the trail. 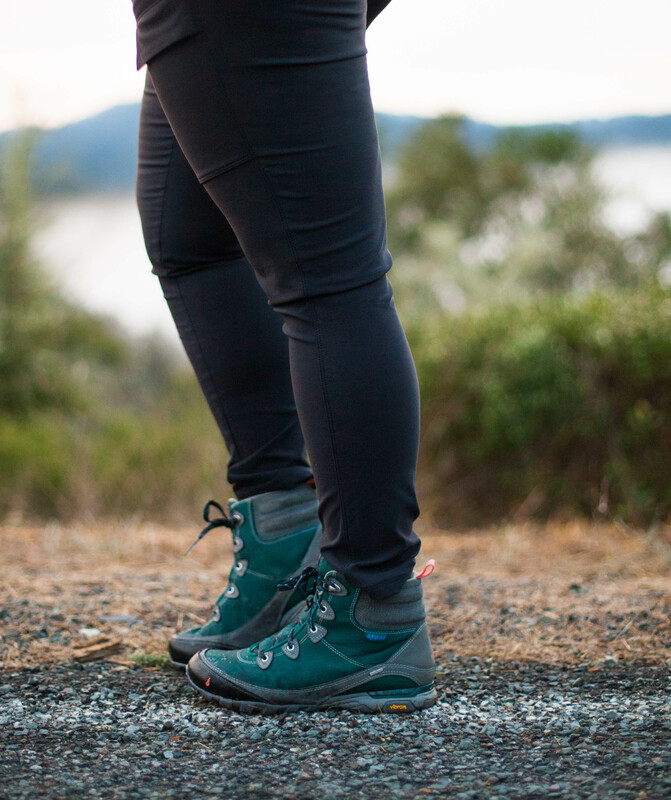 Athleta makes amazing pants for everything, but it wasn't until this year that I decided to try their hike-specific line. I've found my new holy grail in the Wander Utility Pant. Designed not only for trail adventures, but everyday life in the city. The pants are made with trek tech fabric that is water-and-abrasion-resistant on the outside with a cozy, brushed interior. They are stylish and versatile with a super comfortable waistband and tons of pockets, and they even fit my iPhone+! 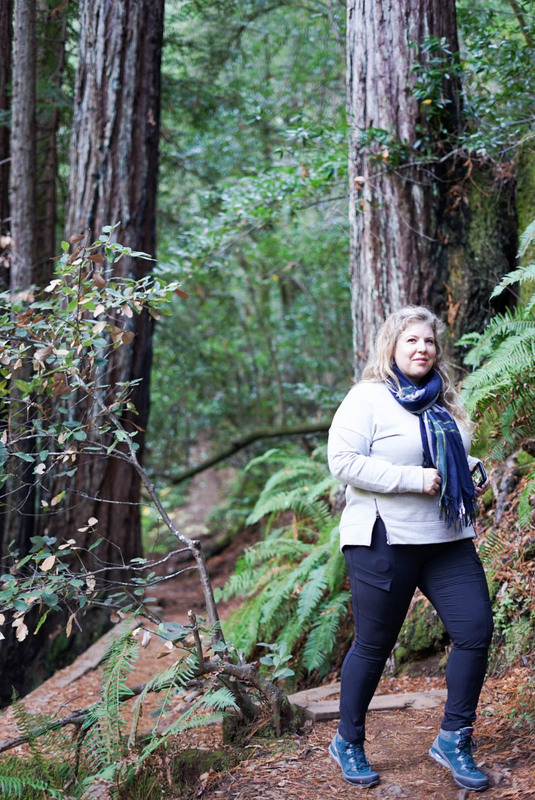 This weekend, I paired the Wander Utility pant with Cityscape Sweatshirt while hiking Cataract Falls trail on Mount Tamalpais. The Modern Mantra fabric is cozy and breathable with side zips for a little extra ventilation. I'm also partial to the Sunlover UPF Top, which is a lightweight, breathable semi-fitted long-sleeve top rated UPF 50+ and made from sustainable recycled nylon. Both pieces are perfect for layering — a must when exploring outdoors. Finally, I like to wear the lightweight Ahnu Sugarpine boots because they're extremely comfortable, waterproof, and provide ankle support for more challenging terrain. It's just a bonus that they come in beautiful, fun colors. Start small. Navigating through the trees and varying terrain can be more tiring that you might imagine. A few miles on a trail will be more difficult than a few miles on a paved road. Start out hiking few miles and gradually build up to longer treks. Dress appropriately. Wear comfortable clothes that offer protection and allow you to move. Make sure you wear appropriate shoes to keep your feet dry and supported. Be prepared. Always carry plenty of water and extra snacks. Even on short hikes, carry a small first aid kit with blister treatment, bug spray, and sunscreen. Plan your timing. Hiking can take longer than expected. It's better to plan for it to take a longer than you expect, especially if you are hiking in the afternoon or evening. Depending on your fitness and the elevation gain, you can expect to cover about two miles per hour. Explore your city. You don’t have to live in the Bay Area to enjoy quality trail time. Cities, counties and states all have parks or natural areas to get started hiking. Tell someone where you're going. While it's great to hike with a buddy, solo hiking can also be very rewarding. It’s important to tell someone where you are going and when you are expected home. I want to know if you share my love for Athleta, hiking, or both. 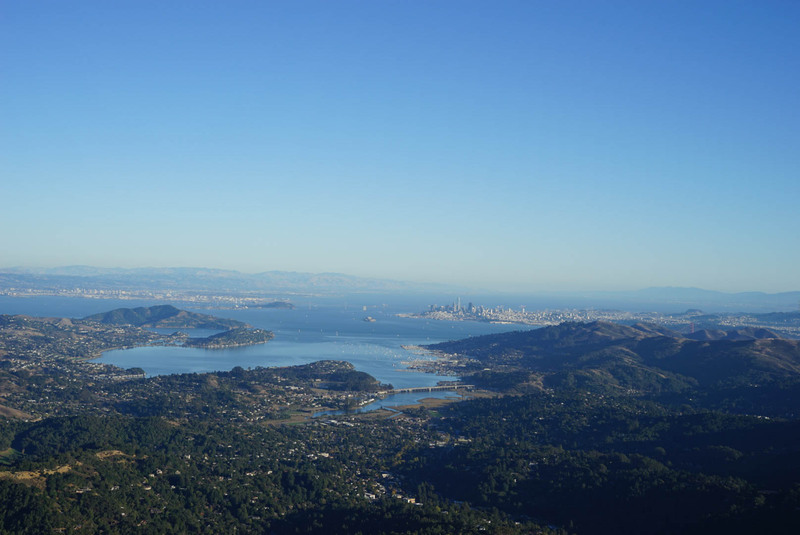 Would you like to see some of my favorite Bay Area hikes? Tips for solo or destination hiking? What about more of my clothes or try-ons from Athleta and other brands I love? Let me know your thoughts in the comments below. Thank you to Athleta for sponsoring this post. As a long-time consumer of Athleta, I have always felt included no matter my size or fitness level. I respect and support their mission to ignite a community of active, healthy, confident women and girls who empower each other to realize their limitless potential. Of course, all opinions are my own, and I'm grateful to work with a brand I truly believe in. Gorgeous photos and thank you for a wonderful post!